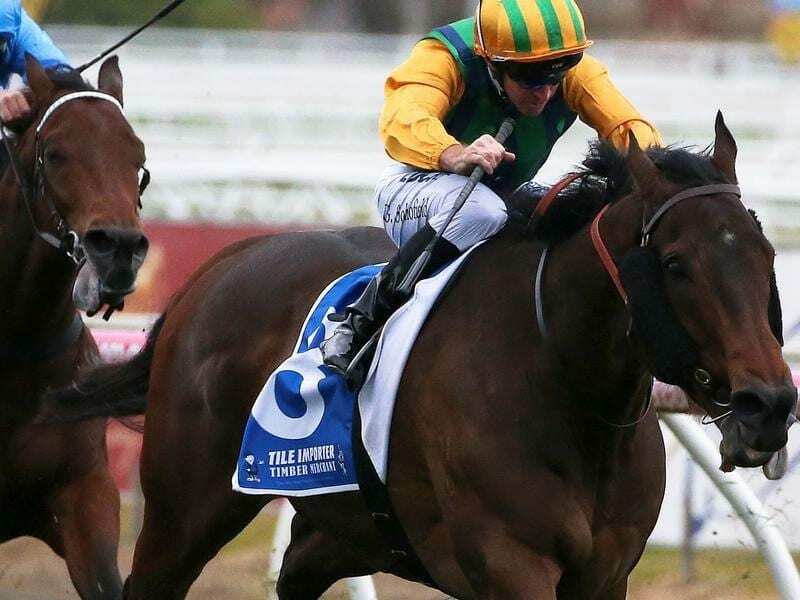 Sydney sprinter Ball Of Muscle has taken his prize money past $1 million with his Caulfield win. Sydney sprinter Ball Of Muscle has repelled the army of Darren Weir-trained sprinters in the Group Three Heath at Caulfield to claim a satisfying win for his trainer Joe Pride. Pride has enjoyed great success with some of the progeny of the late broodmare Parfore, highlighted by Group One wins with half-brothers Terravista and Tiger Tees. Multiple stakes winner Ball Of Muscle is the only horse out of the mare Pride still has racing and the trainer was thrilled to see the eight-year-old gelding return a winner on Saturday. Ball Of Muscle ($9), in his first start since March, began quickly to lead and he kept going in the straight to defeat the Weir-trained Voodoo Lad by a length with another Weir-trained runner, The Everest-bound Brave Smash, a nose away third. “It’s really special to get the win interstate with him and I’m very proud of his achievement,” Pride said. “He’s so quick. I reckon he’s probably the quickest horse in Australia. I’m not saying he’s the best but over those first 400 metres nothing can keep up with him if he wants to go. Weir had dominated the Memsie Stakes program with five winners from the first seven races, including the feature with Humidor, and he had five runners in The Heath. Ball Of Muscle’s victory in the 1100m race was the gelding’s 10th from 34 starts and took his earnings past $1 million.